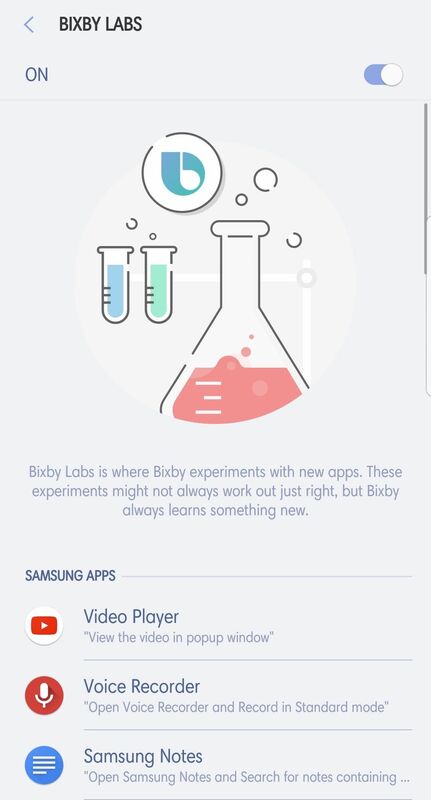 Love it or hate it, there’s no escaping Bixby on a flagship Samsung device. While Samsung’s personal assistant is currently available on only a couple of its flagship devices, the Korean company will bring its virtual assistant to its other mid-range smartphones and even other electronic devices within the next year or two. Bixby has received a lot of hate since its launch. While some of this hate is rightfully deserved, Samsung’s virtual assistant does excel in some departments where the likes of Google Assistant and Siri fail. It is just that the good parts of Bixby have been overshadowed by its negative aspects. For now, Bixby is only available on the Samsung Galaxy S8, Galaxy S8 Plus, Galaxy Note 8, and the Galaxy Note Fan Edition. However, the Korean company plans on bringing Bixby to more of its devices over the next year or two. So, if you own a Galaxy S8, Note 8 or any other device from the Korean giant featuring Bixby, check out some tips and tricks for Samsung’s virtual assistant below. Hopefully, these tips will make you realise that Bixby is actually more useful than what it is credited for by many. You can summon Google Assistant on most Android phones by saying “OK Google.” Similarly, on the Galaxy S8 and Galaxy Note 8, you can summon Bixby by simply saying “Hi Bixby.” The hotword detection works from anywhere — even when your Galaxy S8/Note 8’s display is turned off. This way, you can quickly summon Bixby and tell it to do a certain action without having to even touch your device or look at it once. 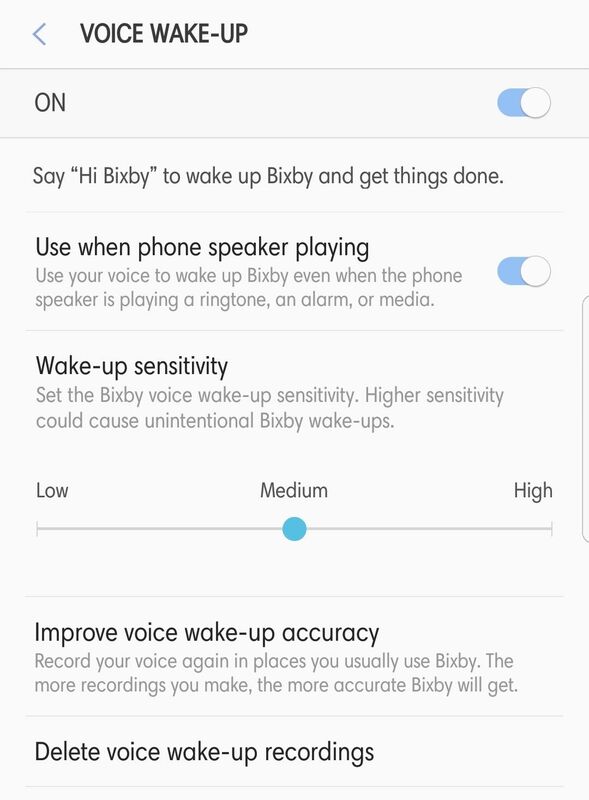 Make sure to enable “Hi Bixby” hotword detection from Bixby Settings -> Voice wake-up. You can also customise the wake-up sensitivity of the hotword detection to trigger Bixby more easily. And if the hotword detection is failing for you more often than not, make sure to use the Improve voice wake-up accuracy option. An important point to note here is that while Samsung has rolled out Bixby’s voice functionality to most regions of the world, it only supports two languages for now: English (US) and Korean. The biggest advantage of Bixby when compared to other virtual assistants out there is its deep system-level integration. While you can use Google Assistant and Siri to control some common system settings like toggling Wi-Fi, Bluetooth, Do Not Disturb mode etc, Bixby takes system integration to a completely new level. Using Bixby Voice, you can simply say commands like “Turn on battery saver mode” or “take a selfie” and Bixby will open the relevant options/settings and do the specified task. You can also use Bixby Voice to toggle flashlight and mobile hotspot, search for files, and more. Similar to Google Assistant, you can also use Bixby to control some other apps and services. So, for example, you can say “Hi Bixby, play songs from Michael Jackson” and Bixby will automatically open Play Music, search for the appropriate artist/song name and play that song back for you. In a similar manner, you can also use Bixby to directly book an Uber, send a tweet, post something to Facebook, and more. Compared to Google Assistant, Bixby has support for only a limited number of third-party apps. However, it makes up for it by offering a deeper level of integration with them which Google Assistant lacks. Some popular apps with deep Bixby integration include YouTube, Google Play Music, WhatsApp, Uber, Gmail, and Instagram. Make sure to enable third-party app integration in Bixby from Bixby Settings -> Bixby Labs. While you can bring up Bixby Voice even when your Galaxy S8 or Note 8 is sleeping by using the “Hi Bixby” command, the virtual assistant will not be able to execute your commands since your device would be locked. Thankfully, Samsung was smart enough to think of this scenario which is why it has included Voice Password functionality in its virtual assistant. 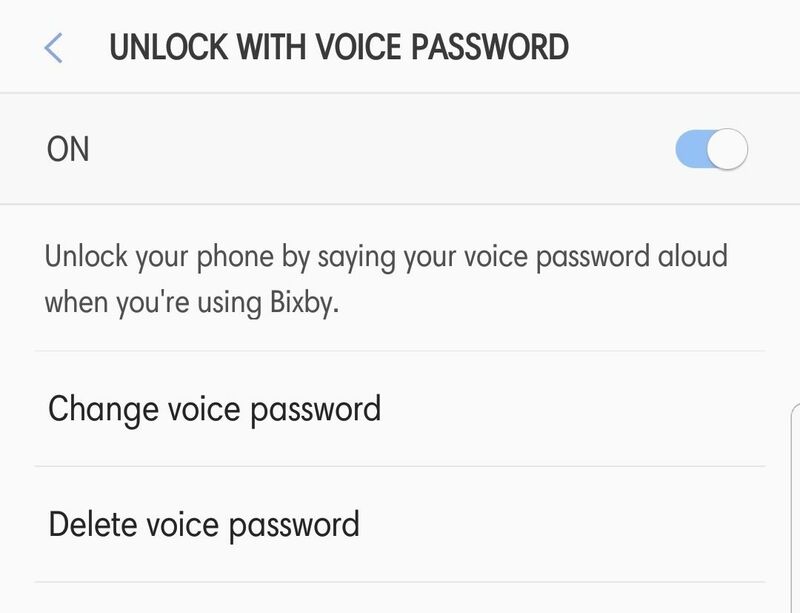 With voice password, you will set up a key phrase which you can use to unlock your device while using Bixby. Once set up, you can issue a command to Bixby through Bixby Voice when your phone is locked and idle and then follow it up with the voice password when prompted. One of the best and underrated features of Bixby is Quick Commands. The feature allows you to set up a custom phrase to trigger a bunch of actions together or just use a shorter phrase for a long command. So, for example, you can set up a “Good night” quick command which will automatically set an alarm for a specified time in the morning, put your phone in Do Not Disturb mode, and enable Always-On Display. Once done, just saying “Good night” to Bixby will automatically lead to all these actions happening on their own. Similarly, you can set up a “Good morning” quick command which can read your unread notifications, disable Do Not Disturb mode, and read out your appointments for the day. You can find the steps to set up quick command in Bixby over here. 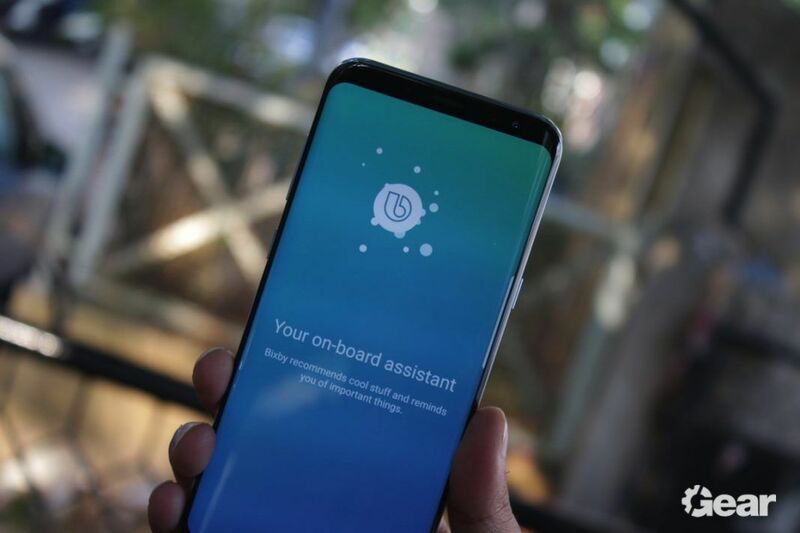 Bixby tips and tricks: How to disable Bixby key? Flagship Samsung devices launched this year which come with Bixby built-in also feature a dedicated physical button to quickly enable Bixby. While Bixby Voice itself is useful, the Bixby button has limited use at best. Pressing the button brings up Bixby Home which is just a poor attempt on Samsung’s behalf at cloning Google Now’s card functionality. 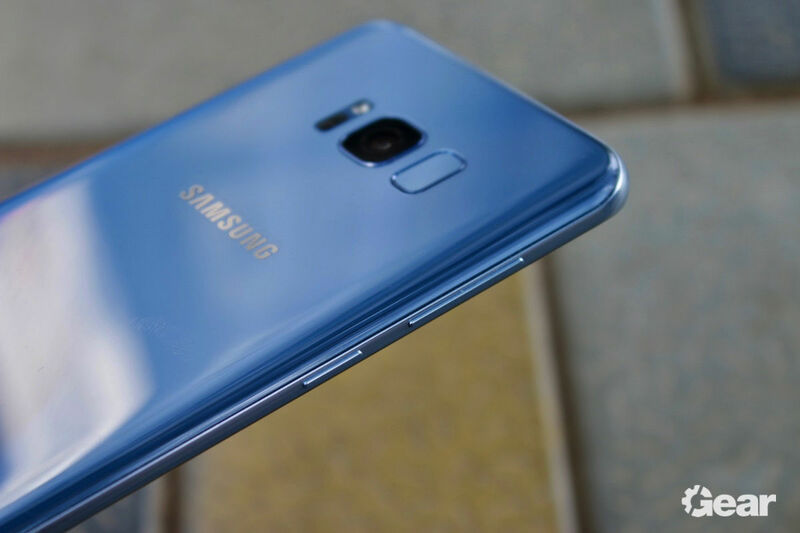 While the button can be remapped to open Bixby Voice, the poor placement of the buttons mean that most often than not, most people would likely end up triggering Bixby Voice accidentally. Thankfully, you can disable the Bixby Key if you wish to. Open up Bixby Home, tap the Settings icon located at the top and simply toggle the Bixby key to off. Here’s hoping the above tips and tricks will help you to start using Bixby more actively. Sure, Samsung’s virtual assistant is not as smart as Google but it does have some handy features up its sleeve. Do you use Bixby actively on your Samsung Galaxy S8 or Galaxy Note 8? Share your thoughts about Samsung’s virtual assistant in the comment section below.